From Bloomfiled Hills to Warren to Detroit – For years Rapid Recovery Service has specialized in helping owners repair their properties after disasters that have inflicted water, flood and fire damage in Michigan. Our Macomb County emergency response team of certified IICRC technicians are available and on call 24 hours a day, 365 days a year, to respond to emergency repairs for residential or commercial properties. If your Wayne, Oakland or Macomb County property has been damaged by a fire or by water, contact a professional restoration company to help minimize secondary damages, such as mold that you as an owner can be responsible for. 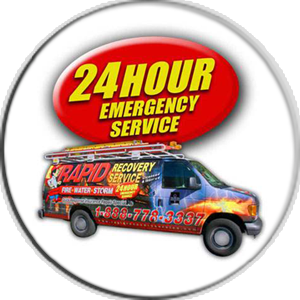 Rapid Recovery Service, Inc. is a leading Restoration Company in Macomb County that handles all forms of water, storm and fire damage in Southeastern Michigan. Water Damage or Fire Damage. Rapid Recovery Service’s has over 50 years of combined experience in the insurance restoration industry. We help with Michigan Fire, Water, Storm, & Mold Damage Restoration. 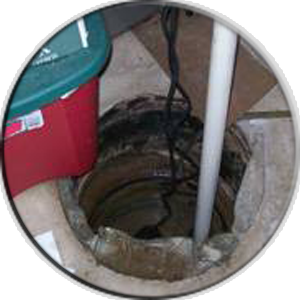 We also help with sump pump backups, lead and asbestos testing and removal. Rapid Recovery Service does more than fire and water damage repairs in Michigan. Other specialties include mold damage, biohazard cleanup, air duct cleaning, explosion damage, vandalism, as well as testing services and disaster planning. Our IICRC professionals will arrive onsite within 1 hour in most cases, to clean up services for all water, fire, or other emergencies. We are there to help when you need us. Our kind, caring, and experienced staff will help you understand what is going on. Also, the team will work with you throughout the entire fire and water restoration process. To ensure Rapid can complete every area of restoration we have a secure contents restoration facility, individual temperature controlled rooms, ozone chamber and more! IICRC, EPA, MDCH, National Association of Mold Professionals, Dept. of Energy, Labor and Economic Growth, AIRQC Corporation & XACTWARE. You can be sure that we are prepared for any restoration job you need. Rapid Recovery Service utilizes the most up to date technology and certified technicians in all restoration and damage cleanup work. We range in modern methods like Thermography, Soda Blasting, Oxidation (Smoke Odor Removal) Facility, Structural Drying and the Rotobrush System. 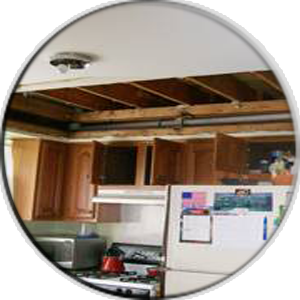 Rapid Recovery Service does more than fire, water, and mold damage restoration in Michigan. In addition, our team of experts qualifies for mold testing and removal, biohazard cleanup, air duct cleaning, explosion, hazardous waste, vandalism damage as well as testing services and disaster planning. Rapid Recovery’s team of professionals have over 50 years of combined experience in the insurance restoration industry. We have the expertise and knowledge to repair any type of Michigan fire damage, water damage, storm damage and mold damage. We provide fire, water and flood damage cleanup to southeastern Michigan, and beyond. In most cases, our certified technicians arrive onsite within 1 hour! Our kind, caring, and experienced staff will help you understand and work with you throughout the entire process, including handling the insurance issue. Rapid Recovery Service utilizes the most up to date technology and certified technicians in all restoration and damage cleanup work. When homeowner’s lives are disrupted, promptness and quality workmanship are the primary goals. We are proud contributors to the communities we serve. We will work as the liaison between you and your insurance company to ensure you are informed about every step in the repair process. Our skilled professionals will prepare a complete, detailed estimate making sure you get a fair and honest settlement to recover the funds necessary to rebuild your property and bring it back to pre-loss condition or better. Our professional Michigan fire damage restoration team offers expert knowledge in all phases of fire damage repair, including smoke damage, board ups and 24-hour emergency repairs for residential and commercial fires. We have over 50 years of fire damage restoration experience and our fire repair staff offers expert knowledge in all phases of fire damage restoration. When you have water damage or claim to your home and possessions, call us! Our quick-response team will respond anytime night or day and complete an immediate extraction of the standing water, and all necessary temporary repairs to secure and protect against secondary damages, such as mold, that you as a homeowner are responsible for. 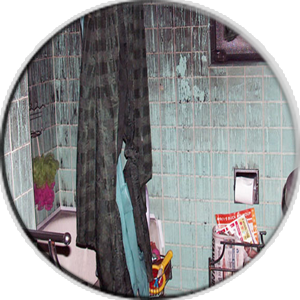 Water damage requires quick restoration action to minimize costly, secondary damages. Severe storms can create high winds, lightning, and hail that can cause shingles to be ripped off from roofs, trees to fall on your house or garage, and propel debris through your windows and walls. We strive for customer satisfaction and quick emergency response. Our Storm Damage Emergency Services teams are available 24-7 and will arrive onsite for any storm repairs, in most cases, within 1 hour. We work with all insurance companies to help restore your property following storm disasters. Available 365 days a year, 24-7, We provide a broad range of emergency services including board-ups, emergency power, sewer backups, roof tarping, trauma cleanups, vandalism repairs and content removal/restoration. For emergency service needs our certified project manager will arrive onsite, in most times, within 1 hour to assess the damage and prevent further damage to your property. We provide water restoration and flood damage cleanup to southeastern Michigan, and beyond. We look forward to asssisting you! Rapid Recovery Service’s has over 50 years of combined experience in the insurance restoration industry. We help with Michigan Fire, Water, Storm, & Mold Damage Restoration. Our expert team also provides quality repairs with all emergency services including, sump pump backups, vandalism, hazardous waste, mold/asbestos testing and removal. © 2018 - MICHIGAN FIRE & WATER DAMAGE - RAPID RECOVERY SERVICE. ALL RIGHTS RESERVED.